Offering a comfortable, relaxing place to meet new friends and enjoy a drink. Coracles Country Club is open for all to enjoy without membership charges with live professional artists featured on selected Saturday nights during main holiday season and peak periods. Private Functions and Charity Events are held at certain times throughout the year when some of the public rooms may be in use. The Pizzeria is open for eat in or takeaways 7pm – 9pm most evenings during the school holidays and on Friday & Saturday evenings outside peak holiday times. 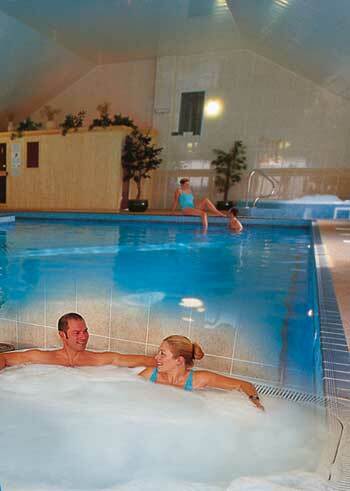 Coracles Health Club forms part of the same complex as the Country Club and features an indoor swimming pool with spa bath together with luxurious sauna and steam rooms and a well equipped fitness suite. Discounted membership passes are available to all Caravan Holiday Home owners and visitors staying on the Park or, a “pay-as-you go” system is available. What better way to relax and unwind during your stay at Cenarth Falls than to soak up the sheer luxury of Coracles Health and Country Club? Designed and built to take our five star standards even further, Coracles offers a state-of-the-art heated indoor pool with a spa bath, sauna and steam room. 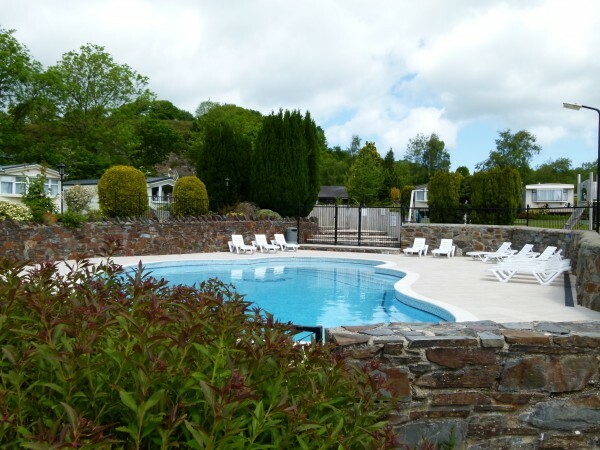 Our unheated outdoor swimming pool is normally open from the end of May to the end of August (weather permitting) and is available for all our guests to use throughout their holiday at no extra charge. The outdoor pool & patio. The pool itself is kidney shaped in design and is surrounded by a paved patio and traditional stonewall, making it a wonderful suntrap during the summer months. Sun loungers, chairs and tables are provided for extra comfort. If you prefer not to indulge, you may sit and watch from the vantage point above the pool – set in the midst of a charming rockery a garden bench is set just for the purpose. Adjacent to the swimming pool we have a modern play area, a favourite especially with the younger children. 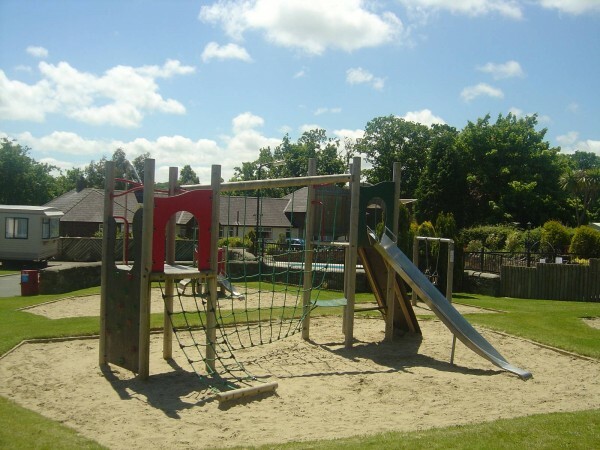 Featuring swings (traditional plank and toddler versions), slides and climbing frames. Our Scandinavian Log Reception building is situated just inside the Park entrance and combines reception and games room. Naturally upon arrival your first stop will be at reception to register and receive directions to your holiday accommodation or touring pitch. Once you have settled in and relaxed a little after your journey, reception is the place to enquire about things to see and do – we have a full range of leaflets and can offer helpful hints and advice. We will do all we can to ensure your stay meets all your expectations! Our popular games room is adjacent to reception and is open to all ages. It contains a pool table and various video style games. We would suggest young children are accompanied, before they spend all their holiday money! Our little Games Room is next to Reception. 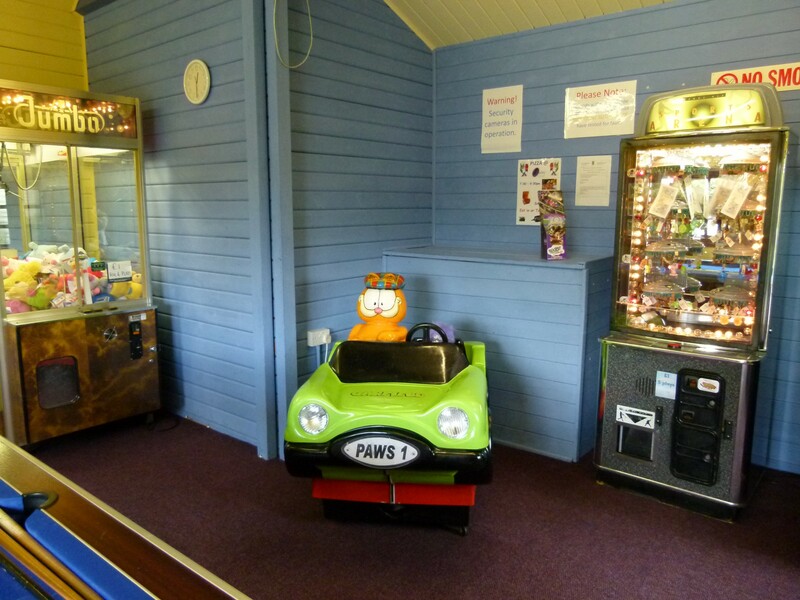 A public telephone is situated next to the games room for your convenience (mobile phone signal is very patchy but E.E. seems to work the best). Wi Fi is available throughout the Park by purchasing a voucher from reception or through Pay Pal. Wi Fi is Free within Coracles Health & Country Club. Our launderette is well equipped with washing machines, tumble driers and iron and ironing board and is open every day. Dogs are permitted on the Park but must be kept on a short lead and under control at all times. Naturally any accidental fouling must be cleared immediately.